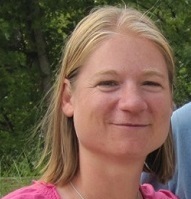 Dr. Diana Maynard is a Senior Researcher in the Dept of Computer Science at the University of Sheffield, where she has been working in Natural Language Processing since January 2000. She leads the development of linguistic analysis tools in the GATE toolkit, and has worked on a number of projects relating to social media analytics over the last 10 years. In particular, she develops tools for the automatic analysis of sentiment and emotion, including hate speech and abuse, and is currently working on a variety of projects addressing the automatic analysis of news media, social media and the correlation between the two, for example examining Brexit discussions and the recent UK elections. She recently led the Sheffield team’s work on the Decarbonet project, investigating the correlation between social media communication and behaviour around climate change, developing tools to analyse large volumes of tweets on environmental topics, and on the COMRADES project, developing tools for social media communication during disasters. She is particularly interested in the intersection of language, communication and behaviour, looking at how people and organisations communicate about and respond to news in both traditional and modern forms. She is on the advisory board for a variety of start-up companies, national and international projects, and is the Book Review Editor for the Journal of Natural Language Engineering. Visit Diane’s University of Sheffield staff page.